A week after updating its Financial Assessment and Property Charge guidelines for the Home Equity Conversion Mortgage (HECM) program, the Federal Housing Administration hosted a conference call on Thursday in efforts to clarify some of the reverse mortgage industry’s biggest concerns with the revised policies. As if the Financial Assessment—arguably the most impactful change the reverse mortgage has ever seen—wasn’t complex enough, FHA revised the rule last week through Mortgagee Letter 2016-10. Among the changes were an updated HECM Financial Assessment and Property Charge Guide, along with revisions to the calculation of the compounding interest rate for HECM Servicing Fee Set-Asides to use the Note Rate. The Mortgagee Letter also authorizes HECM mortgagees to pass the cost of third party property tax verification fees onto borrowers. With a little more than 10 weeks until most of the new rule changes (i.e. the revised growth rate for the Servicing Fee Set-Aside and updated Property Charge Guide) take effect for HECM case numbers assigned on or after October 3, 2016, several FHA officials made themselves available Thursday afternoon to answer questions and provide clarification to various Financial Assessment guidelines. One of the most commonly sought after clarifications from industry members pertained to the new eligibility thresholds for residual income as they relate to certain Compensating Factors. Mortgagee Letter 2016-10 puts forth a new requirement that the HECM borrower’s residual income must be at least 80% of applicable standard in order to be eligible for the following Compensating Factors: Assets Equal to Life Expectancy Property Charges; HECM Proceeds Sufficient to Pay Off Debts; and Access to Other Resources. “80% of the residual income standard is a pre-qualifier to use these Compensating Factors,” said Philip Caulfield, housing policy analyst for HUD’s Office of Single Family Program Development, during Thursday’s conference call. Since the Financial Assessment took effect April 27, 2015, FHA said it has been monitoring the impact of the rule on HECM endorsements. 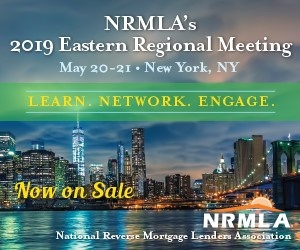 Though the agency didn’t quantify, Caulfield said FHA is concerned about the number of HECMs it has seen involving mortgagors who had negative residual income. “Even if their debts are paid off, the mortgagor fell short of the standard—that is very concerning to us,” Caulfield said. To mitigate the risk of low residual income, FHA now requires the 80% standard in order for mortgagees to cite one of the three aforementioned Compensating Factors. “If you cite these Compensating Factors, we want to see that residual income was at least 80% of the standard,” Caulfield said. During the call, FHA also clarified that HECM mortgagees do not always need to obtain tax returns from loan applicants when conducting the Financial Assessment, that is, if they can document the person’s income from other sources. Thursday’s conference call was the latest discussion between FHA officials and reverse mortgage industry members regarding the intricacies of the Financial Assessment. Last September, the agency hosted a lengthy training webinar to help reverse mortgage lenders better understand Financial Assessment policies. While Thursday’s call lasted roughly 60 minutes, the lion’s share of the session dealt with Q&A from industry members. And if the repetition of similar questions asked by different attendees serves as any indication, there is a great need for FHA to revisit the topic of this complex rule more frequently.